At Beth Yeshua, we as Messianic Jews believe Yeshua (Jesus in Hebrew) is the Messiah. 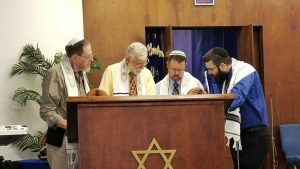 Messianic Judaism is a movement of people from all walks of life who believe that Yeshua is the promised Messiah and the Savior for Israel and the world. Messianic Jews have not stopped being Jewish. On the contrary we have continued to remain strongly Jewish in our identity and lifestyle, and in our belief that Yeshua is the Jewish Messiah and the fulfillment of true Biblical Judaism. Messianic Judaism differs from Modern Rabbinic Judaism in that it predates the destruction of the second temple (70 CE) and focuses on the requirements for the Sacrificial System according to Torah (the five books of Moses). After the destruction of the Temple, the Rabbis reorganized Judaism adding many new laws, rules, and traditions. Today, their writings and commentaries (the Talmud, etc.) form the foundation of Rabbinic Judaism. Messianic Judaism relies totally on the Scriptures. Our faith is the Judaism of the Bible (Biblical Judaism) and is centered around the Messiah and the worldwide salvation He brings. We have direct access to HaShem (G-d) because of the great atoning work of the Messiah Yeshua who is the fulfillment of true Biblical Judaism. Historically, Yeshua was Jewish. He was raised in a Jewish home and ministered to the Jewish people in a Jewish land (Eretz Israel). The disciples were Jewish. The apostles were Jewish. The writers of the Brit Hadashah (New Covenant or New Testament) were Jewish, and for a time, the faith in Messiah Yeshua was almost exclusively among Jewish people. It is estimated that more than one million Jewish people in the first century CE believed that Yeshua was the Messiah. 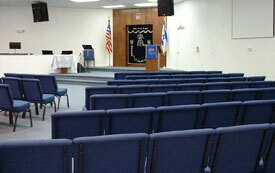 Messianic Synagogues are the heart of the Messianic Movement. 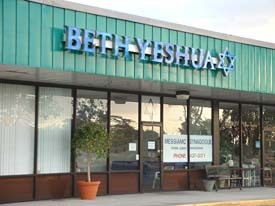 Beth Yeshua Messianic Synagogue is a place for Jewish faith in Messiah Yeshua. Standing with us are many non-Jewish members who have a burden and love for the Jewish people. They understand what G-d is doing among the Jewish people, and have a “Ruth-like” calling to G-d’s chosen people. Finally, we wish to invite you to join with us. All Jewish believers need to consider the importance of continuing to live as a Jew and not assimilate away from His Jewish people. We have an eternal Covenant with G-d that goes back to Abraham. G-d has a purpose and calling for the Nation of Israel, and this covenant relationship is eternal ~B’resheet (Genesis) 17:1-8. Everyone, whether Jewish or Christian, are welcome to join us at any of our services. Our seating is always free and unassigned. We are also a great place for fellowship and worship for inter-faith families. IT’S ALL ABOUT G-D AND MESSIAH!